The majority of the official conversations made require being done in writing for reference purposes. Having to write all the conversation is a tedious job can be tedious and expensive especially when experts are consulted. This is why it is important for organizations with a need for transcription services to have an audio transcription software for simplifying the process as well as lower the costs associated with it and this article will look at some of the best. 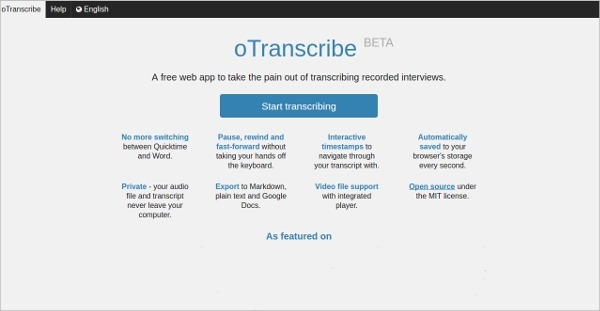 oTranscribe is an audio transcription software that is very useful when it comes to this category especially given that it is distributed for free. The software is very safe and offers lots of features such as no more switching, Pause, rewind and fast-forward, Interactive time stamps, automatically saved, Video file support. 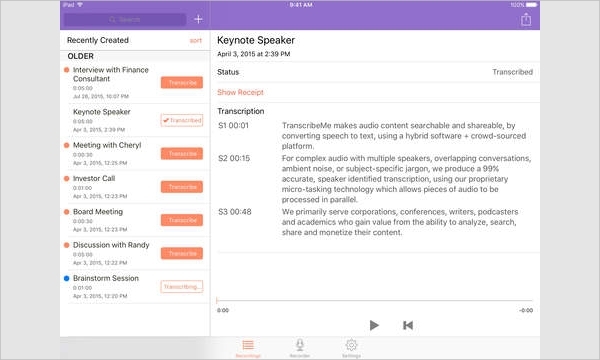 Transcribe is an audio transcription software that aims at helping those required to make transcription such as students, secretaries, and even lawyers. With this software, you will enjoy an integrated audio player with text editing to avoid the need to keep changing the screens when you need to rewind the audio. 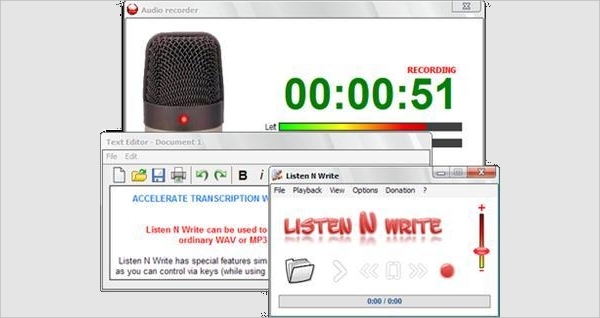 Listen N Write Free is an audio transcription software that is distributed for free and it is easy to use. The software supports 15+ languages, and it is very light and thus does not require a dedicated computer. The software runs on all versions of windows from Windows XP. Generally, audio transcription softwares are platform depended though there are some that have multiple versions for the different platform, and this makes them appear as cross platform. However, there are still some that are web based, and thus they acquire cross-platform status by their very nature. 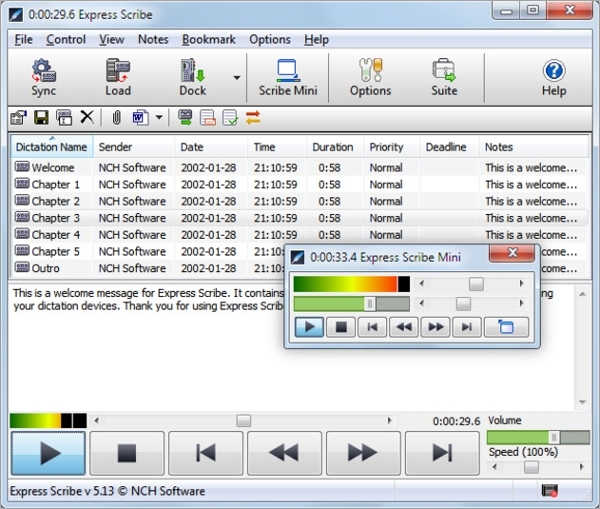 Express Scribe Transcription Software is a leading audio transcription software, and it is able to run on the Windows platform with relative ease. The software offers a variable playback speed while at the same time offering a constant pitch and also support both audio and video playback. 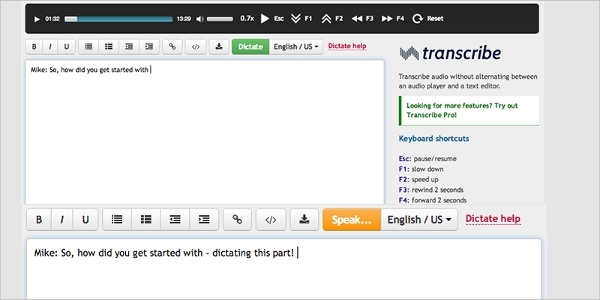 TranscribeMe is an audio transcription software designed for the Mac platform and allows the user to enjoy simplicity when it comes to transcription of audio files. Essentially this software uses complex recognition softwares as well as human transcribers to bring quality transcriptions fast and at an affordable rate. 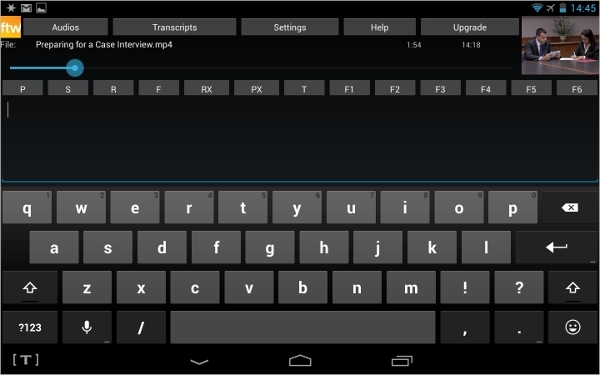 Transcription Software FTWT4A is an Android based audio transcription app that allows for faster and more enhanced transcriptions. The software has the convenience of that it can be used straight from your phone and on the move while it still has lots of functionalities. What is Audio Transcription Software? This is further accelerated by the fact that in the real world, audio files to be transcribed involves more than a single individual and the fact that there is background noise. However, these tools offer a means in which the users can enjoy increased ease when it comes to the process of transcription. Transcription of recorded audio is an essential part of filing such conversations or interviews. This being the case, it is always great to have an insight of the best tool to apply to any specific role, and this article has attempted to give that insight in details while still remaining as short as possible.